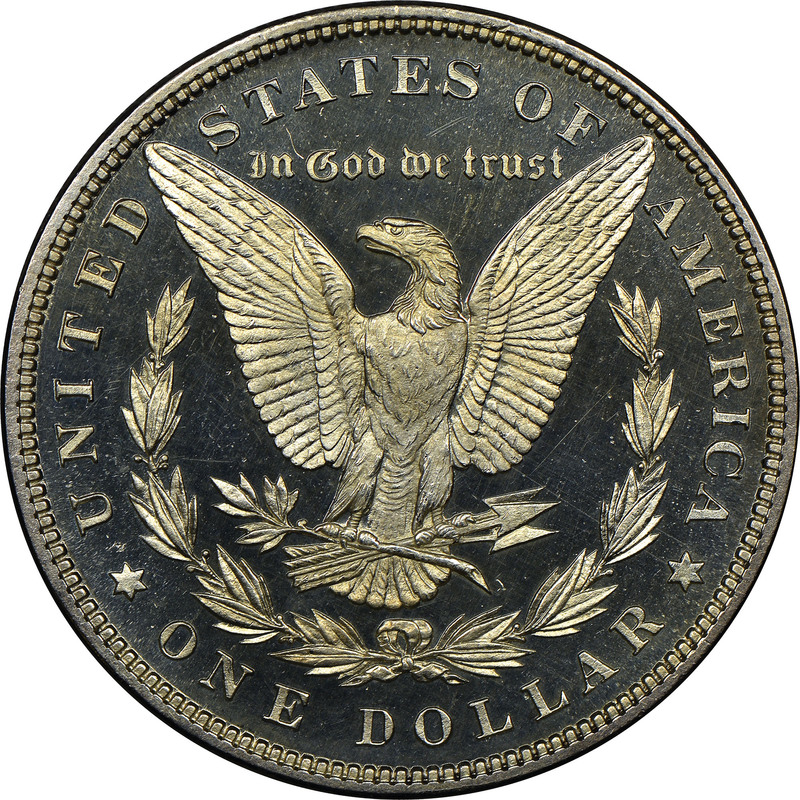 The Philadelphia Mint struck a total of 2,322 proof dollar coins in 1882. 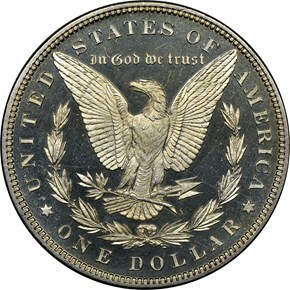 Of those, 1,100 were Morgans, 1,097 were Trade dollars, and the remaining 125 were gold dollars. 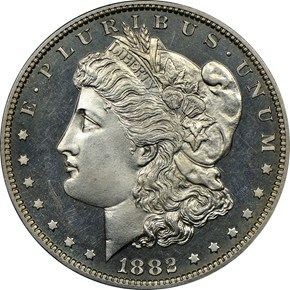 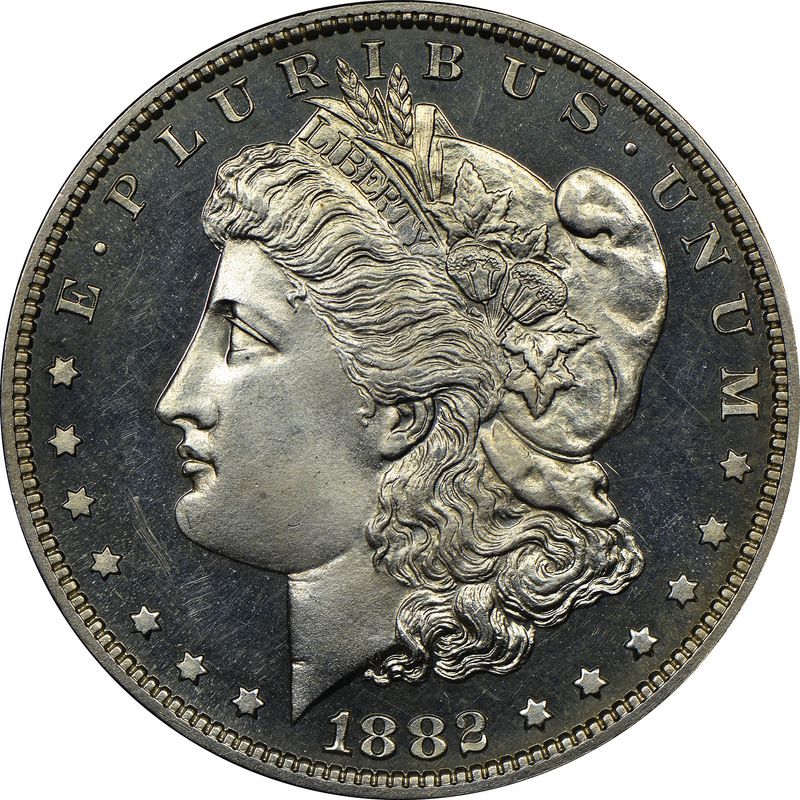 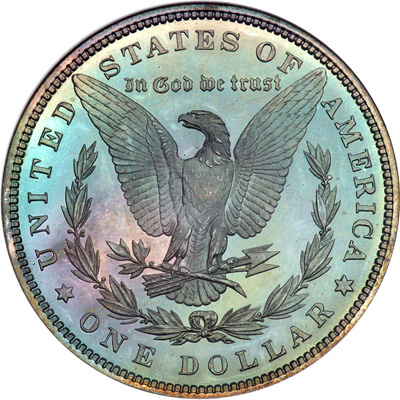 The Morgan dollars of this date tend to come with at least some cameo contrast. 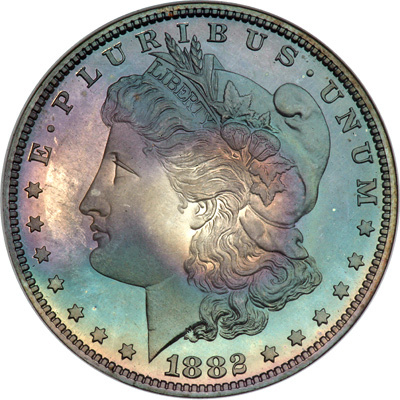 However, time has taken its toll, and examples often have issues which can hold them back from the gem grades.